Features a slightly revised bumper with round reflectors. A pre-production 2017 Hyundai Grand i10 has been spied testing outside Chennai, featuring the usual black canvas hiding the design changes. The new i10 is expected to launch for sale in early 2017, and is the first major facelift for Hyundai's top selling hatchback. The new Hyundai Grand i10 seems to feature a slightly revised bumper with round reflectors, similar to that of the model launched recently in Europe. 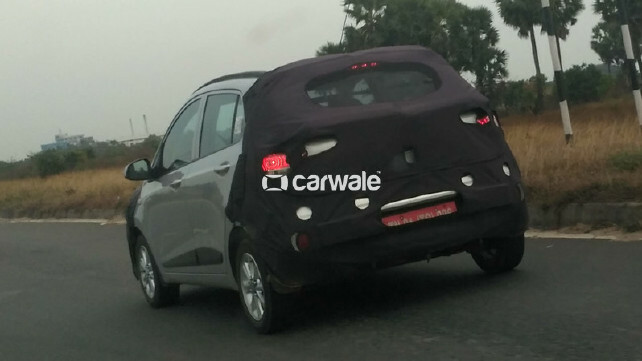 The new i10's posterior was only part photographed, which seems to feature a slightly revised bumper with round reflectors, similar to that of the model launched recently in Europe. In a previous instance, the front-end was spied featuring a new hexagonal grille and redesigned foglamps, although it may not get the round LED-powered DRLs seen in the Euro-spec i10. Reports speculate that the top-end Asta (O) variant could come equipped with a touchscreen infotainment system and automatic climate control, while the cabin may embrace trim and upholstery updates. The front-end of the 2017 Hyundai Grand i10 was spied featuring a new hexagonal grille and redesigned foglamps. 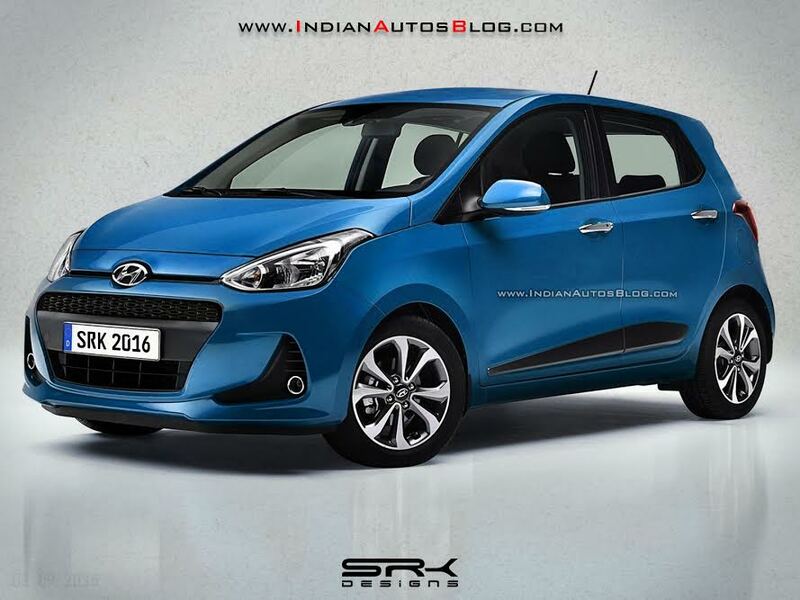 Pictured is a rendering of the new Grand i10. The engine options are likely to be retained, which has a 1.2L four-cylinder petrol and 1.1L three-cylinder diesel engines. A 5-speed manual is equipped in both variants, while a 4-speed automatic continues to be exclusive to the 1.2 petrol variant.